Standard Practice – We offer wreckers, parts and accessories that fit your vehicle, your budget and your life. We know that, as operators, the situations you deal with on a daily basis are the reason behind any purchase you make. We stand behind our products because they are built and sold with you, and life, in mind. We back our craftsmanship with a warranty because our manufacturing team and service crew set the standard for quality work. Our mission is to ensure that every customer receives world-class service! Standard Issue – Our signature Low Loader is the new standard in the industry. It’s the most innovative design, and most meticulously constructed flatbed ever made. It has safety features to protect the Loader, the operator, and the vehicles it transports. 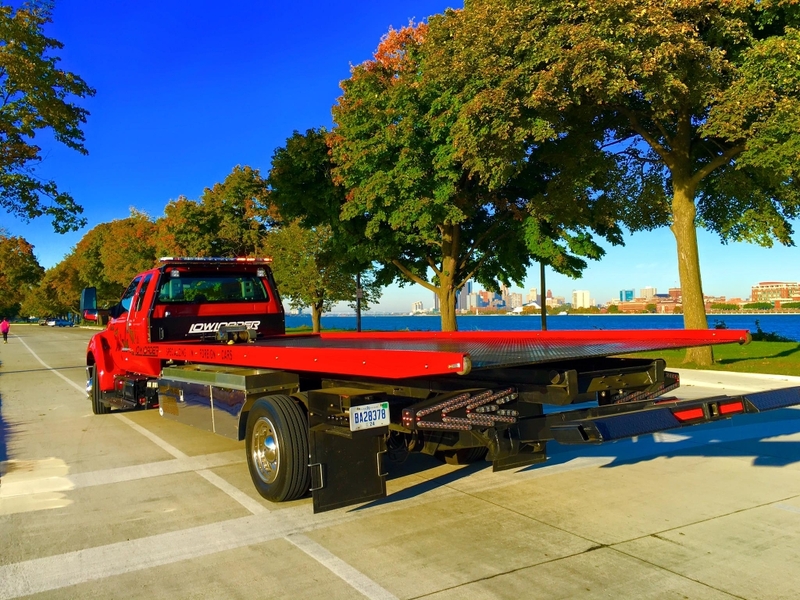 Lower – Detroit Wrecker Sales signature Low Loader is the lowest angle rollback flatbed tow truck on the market. It’s low-angle bed can get under any vehicle on the road, from dropped racing cars, high-end sports cars, and specialty vehicles, to construction equipment and industrial materials. Stronger – Detroit Wrecker Sales’ Low Loader is the strongest car carrier on the market. The deck is rated for carrying up to 20,000 pounds! Our minimum requirement for installation is a heavy-duty rated truck with a GVWR of not less than 26,000 pounds, to ensure that the chassis can provide the foundation and support for the Low Loader to work to its full potential. Tougher – Detroit Wrecker Sales’ Low Loader is the toughest car carrier on the road. It’s designed to withstand whatever task you need it to do. It’s built with better materials. Our in-house fabricated cylinders feature 4-year seals. Every pivot point features our signature Oil-Lite Bronze Bushings, for strength and longevity, so they perform better, longer, and with less maintenance. You won’t hear any complaints out of the Low Loader! Products – Detroit Wrecker Sales is your one-stop shop for our exclusive Low Loader, and tons of other truck options and accessories. Not only do we offer a wide range of trucks to fit your particular situation, but we also sell products and accessories from ALL tow truck manufacturers. Whether you’re buying your entire vehicle and Low Loader rig from us, or you just need to stop in for a part, accessory, service, or repair, Detroit Wrecker Sales has what you need, and we won’t sell you anything you don’t. Service – No matter who made your vehicle, we can repair, service, or improve it for you. Our Parts Department Manager specializes in parts and accessories from all major industry names, and specialize in getting whatever part your truck needs, as quickly as possible. 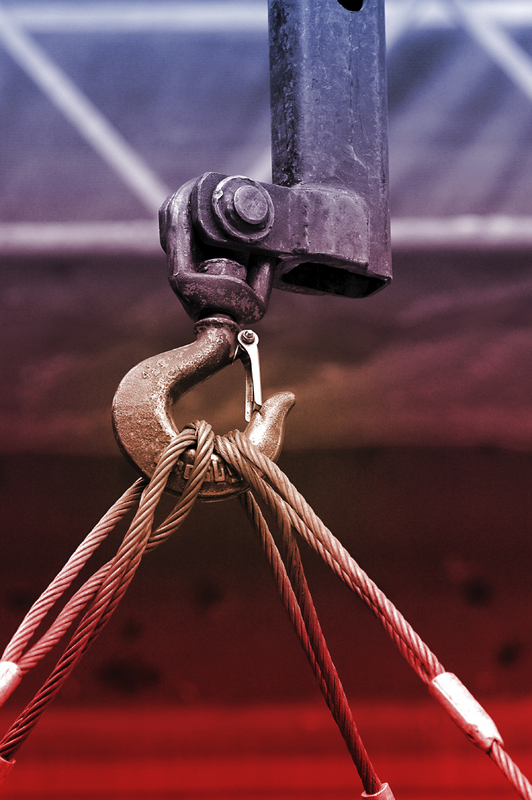 Our Service Team are all highly skilled, full-service mechanics, and the team has over 100 years of experience with all towing equipment industry products. We carry parts from all the big name brands, so no matter who built your truck, we can get you back on the road quickly. Warranty – Products we manufacture are all backed by no-nonsense warranties. We use quality materials and we have talented, experienced, dedicated manufacturers who take pride in their work. That makes it easy for us to stand behind our products so confidently.